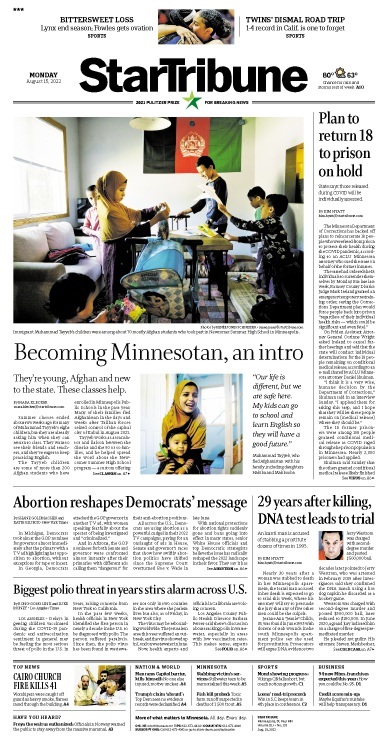 Star Tribune eEdition provides access to a complete, interactive replica of the print version. Whether you’re at home, at work, or on-the-go, your Star Tribune will never be further than a click away! Convenient: Read your newspaper online now or download for later. Easy to navigate: Flip through pages, zoom in for easy reading or save and print articles to read later. Searchable: Type in a search term and find articles and advertisements of interest. Past issues: Access the last 30 days of the newspaper. You may also email us or call 612-673-7447 / 800-328-4333.